Our course has a unique NOVELTY: no books! Just the net, this blog and specially designed material by our teacher, Mrs Effie Kyriklakis. 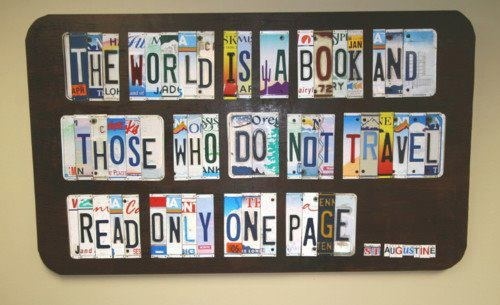 today we'll talk about travelling and getting to know the world. Let's look at different kinds of exploration one can do here. Talking about travelling, we get to use a gerund. How much do you remember about Gerunds and Infinitives? Well, here's a YouTube tutorial to watch. After that do activities 3,4, 13,15 here. ...and the change goes on! First, look at the holiday pictures/videos and read about them on Pinterest. - create a photopeach presentation and be prepared to present a 5min talk about where you would like to travel and why USING the VOCABULARY we've seen in class AND gerund and infinitive forms. The more forms you have the better! -Write a comment of 120 words in this post about your favourite holiday destination USING the VOCABULARY we've seen in class. Fun, eh? Can't wait to see your posts, everyone!!! Your presentations will be published here! Αναρτήθηκε από Winners Education στις 11:08 μ.μ. Deppy Drac 7 Ιουλίου 2017 - 1:30 μ.μ.